Texas bankruptcy laws are very beneficial for debtors having trouble paying their bills. Texas bankruptcy exemptions are generous and allow the bankruptcy filer to keep most of their personal possessions including their homestead. A matter of fact, Texas bankruptcy laws exempt a debtor’s homestead from seizure by creditors no matter how much it’s valued at. That means that a debtor who owns a home worth $1 million receives the same bankruptcy exemption protection as a debtor who owns a home only worth $100,000. In other words, bankruptcy filers who have the fortune of having very valuable homesteads are not unfairly penalized for it during their bankruptcy. When a debtor files bankruptcy in Texas, they can work with their bankruptcy attorney to select a court that best fits their needs. 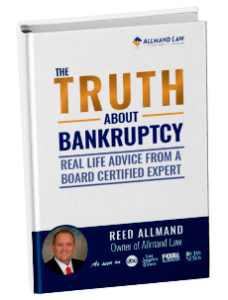 But in other states, bankruptcy filers are restricted to using certain courts according to where they live or conduct business if they are filing a business bankruptcy. And finally, Texas bankruptcy law allows debtors to maximize their bankruptcy exemptions by permitting them to mix and match state and federal bankruptcy exemptions. This means that if a debtor finds some federal bankruptcy exemptions to be more beneficial than some Texas bankruptcy exemptions, they can pick and choose from both. On the other hand, some states force the debtor to make a wholesale choice between federal and state bankruptcy exemptions. Fortunately, that’s not the case for Texas.